7 watches, 7 different styles, 1 single purpose: displaying multiple time-zones! 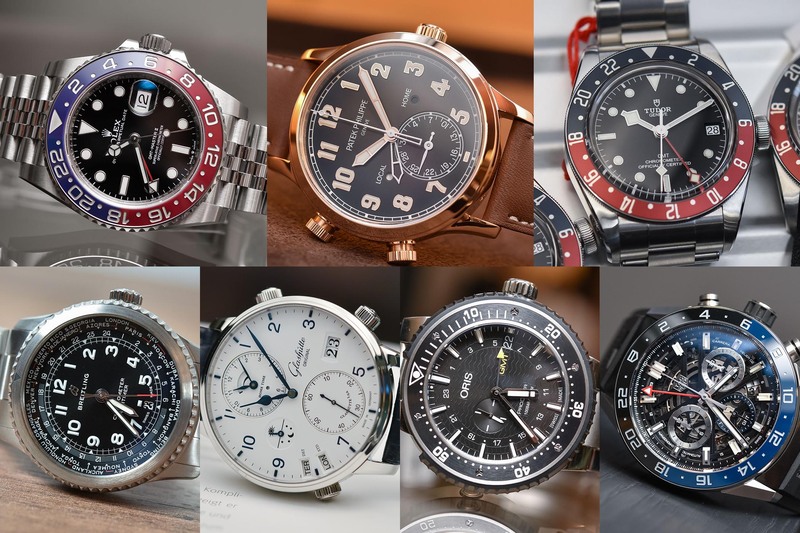 GMT Watches… How not to look at this specific category when the star of the show this year, at Baselworld 2018, featured such a complication. You name it: the Rolex GMT Pepsi Steel. Yet, that was not the only Traveller’s watch to be introduced during the fair. In fact, we’ve seen some pretty interesting new offers. 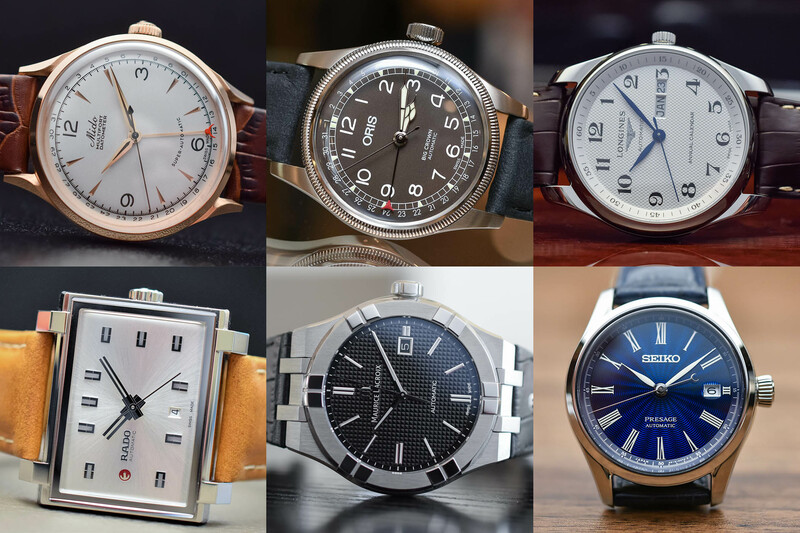 Here are 7 very different watches, from an elegant Patek to an ultra-robust Oris, but all with the same purpose: displaying multiple time-zones. If the in-house B01 chronograph is the collection’s flagship, the new Navitimer 8 line-up comprises anther cool watch, with a world-time function. 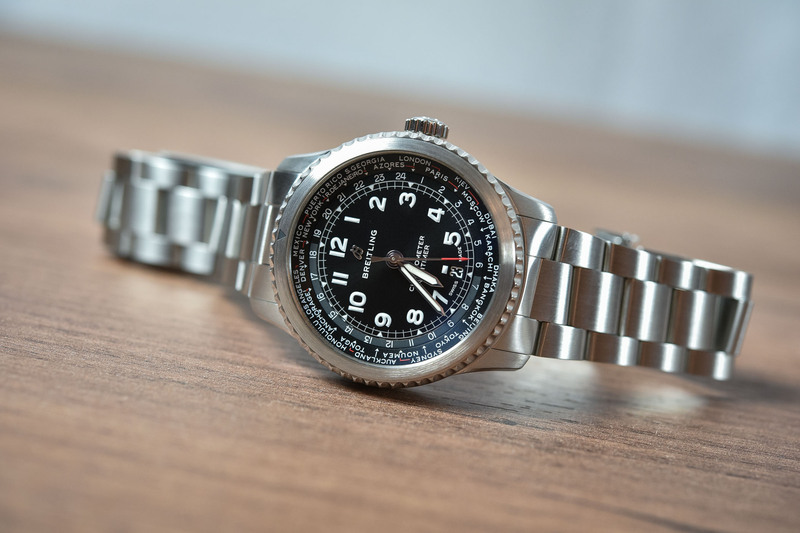 Good point with this piece is that, due to its usually rather clean and simple style, the addition of such a complex display keeps the design of the watch understated and functional. The central part remains plain while the periphery of the dial on this Breitling Navitimer 8 B35 Automatic Unitime receives the traditional 24H and city rings. Nice, clean and powered by an in-house movement, the Calibre B35 with two barrels for a 70-hour power reserve (visible through the sapphire caseback). 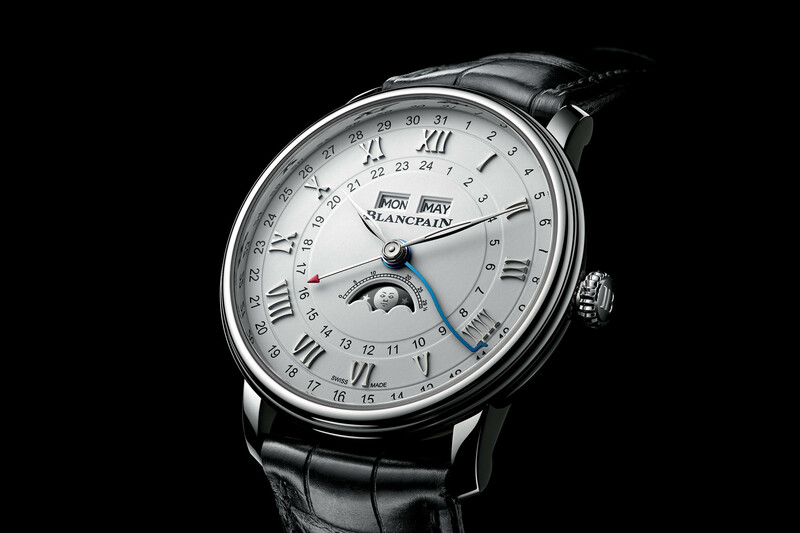 Available in a 43mm steel case, with steel bracelet or leather strap, and with black or silver dial. Quick facts: 43mm x 14.38mm case – stainless steel – 100m water resistant – Calibre B35, in-house, automatic – time, date and world-time – 70h power reserve – COSC-certified – leather strap or steel bracelet – sapphire case back – from EUR 7,400 – More details on www.breitling.com. 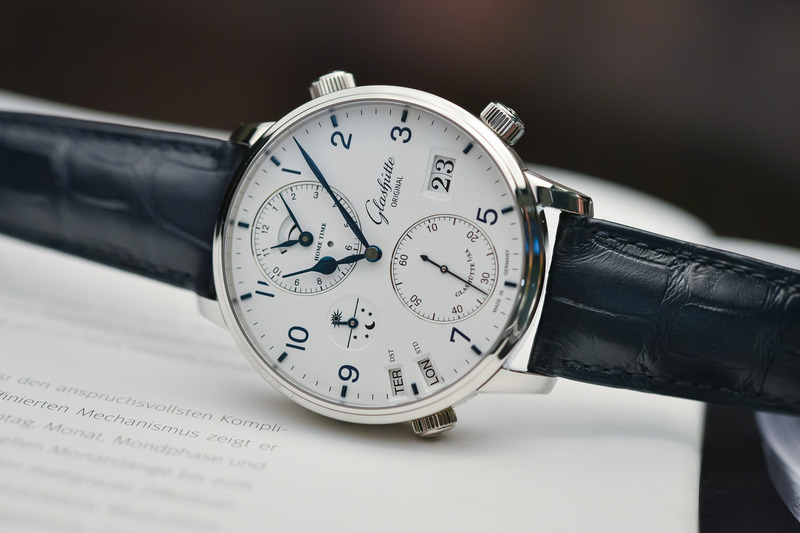 For Baselworld 2018, Glashütte Original brought one of its most complex watches, the Senator Cosmopolite, in a steel version. The best of both worlds: mechanical beauty and more accessible (relatively speaking) price. For the occasion, this watch, which can indicate the correct time in no less than 36 time-zones (including Daylight Saving Time – DST and Standard Time – STD), also receives a new dial, with blue accents and Arabic numerals, for a more casual look. Inside ticks the in-house Calibre 89-02, a movement that displays a choice of 36 world time-zones, each indicated by the official IATA location code designating a key international airport in the zone. The best is that this Senator Cosmopolite remains legible and true to its Saxon origins in terms of style. Quick facts: 44mm x 14mm – stainless steel – 50m water resistant – Calibre 89-02, in-house, automatic – hours, minutes, small seconds, home-time with 36 time-zones, Panorama date, day-night indicator, power reserve – 72H power reserve – leather strap or steel bracelet – from EUR 20,700 – More details on glashuette-original.com. If you want to know what time it is in NYC while diving under 1,000m of salty water in Australia, this Oris ProDiver GMT is made for you. 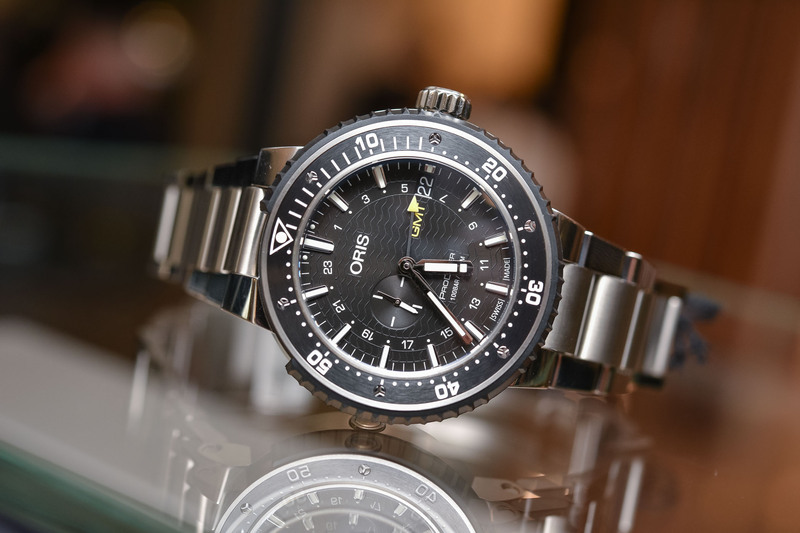 Jokes apart, Oris brings another true instrument in the ProDiver collection – a collection of ultra-robust, ultra-masculine watches made to resist to… everything. The addition of a GMT complication is done the right way, as the bezel keeps the diving scale and the second time-zone is visible on the dial with a bright yellow hand. At 49mm in diameter, it certainly isn’t a discrete piece but the construction of its titanium case makes it a true tool for travelling divers. Quick facts: 49mm diameter – titanium case with ceramic and rubber bezel – 1,000m water resistant – calibre Oris 748, base SW 220-1 – automatic – hours, minutes, small seconds, GMT, date – available on rubber strap or titanium bracelet – from EUR 3,100 – more details on oris.ch. 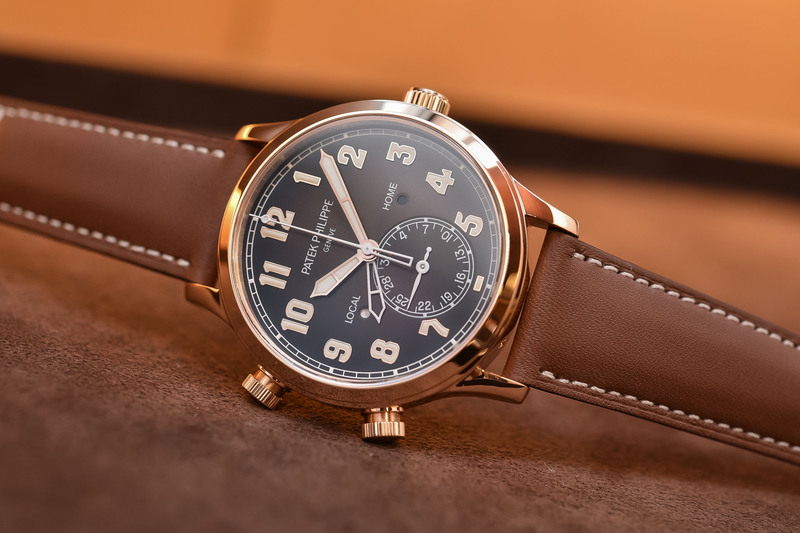 After a controversial introduction back in 2015 with a white gold/blue dial version, the Patek Philippe Calatrava Pilot Travel Time is back this year in two new rose gold versions – including a 37.5mm variant for ladies. If nothing has changed in terms of specifications and design, the combination of a rose gold case with a brown dial is visually pleasant – and overall, “more Patek” too. Slightly more luxurious, warmer and still surprising for the brand, the Calatrava Pilot Travel Time 5524R is nevertheless a perfectly executed watch, with convenient dual-time function and a younger, bolder look. Quick facts: 42mm x 10.71mm – rose gold case – 60m water resistant – calibre 324 S C FUS, in-house, PP seal – automatic – hours, minutes, seconds, second time-zone, day-night indication, date – brown leather strap with pin buckle – EUR 43,210 – more details on patek.com. 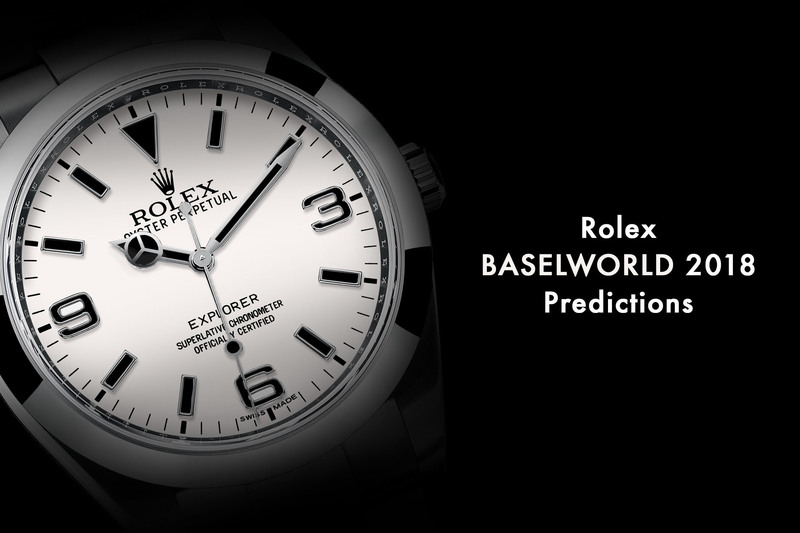 This is the big one… The watch that made some noise at Baselworld 2018. And again, even if this new Rolex GMT Master-II Pepsi Steel is genuinely far from being a revolution, it is again one that will create waiting-lists at retailers. Why? 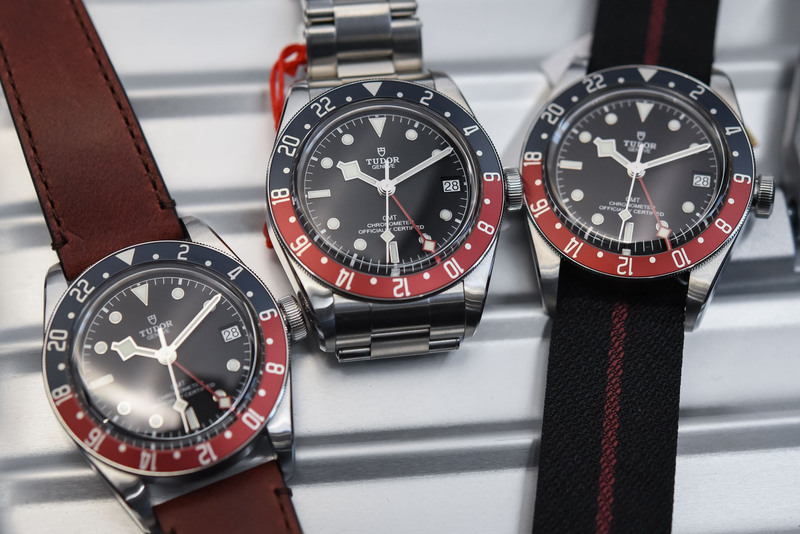 Simply because it is exactly what many collectors were hoping for: a steel, more accessible version of the GMT Ceramic Pepsi, with a new jubilee bracelet (something that Rolex has not done for 3 decades on its sports watches) and with a new movement. We could debate on the slightly weird colours of the bezel or the lack of creativity of Rolex, yet this new 126710 BLRO, at EUR 8,500, is perfectly executed and offers a lot for the money. Quick facts: 40mm diameter – Oyster steel case, two-tone 24h ceramic bezel – 100m water resistant – Calibre 3285, in-house, Chronometer – automatic – hours, minutes, seconds, date, GMT – 5-link Jubilee bracelet with Oysterclasp – EUR 8,500 – more details at rolex.com. 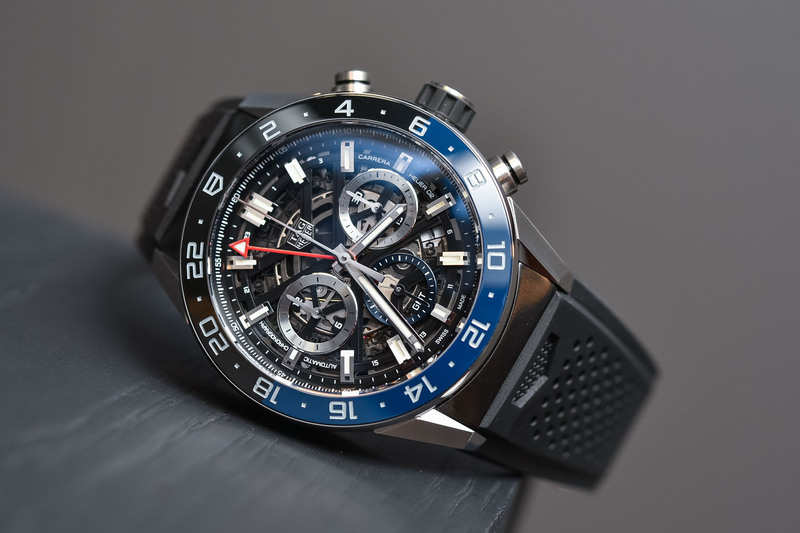 Based on the modern interpretation of the legendary Carrera, TAG Heuer introduces a GMT version that certainly is one of the coolest versions seen recently. While the case is angular and large, still with this modular architecture that leaves space for new editions, the addition of a GMT function is done the right way: a large 24h hand in the centre, a local-time hand adjusted by one-hour increments, an in-house chronograph movement (Calibre Heuer 02) and a two-tone, black and blue ceramic bezel (which looks quite familiar though… someone said Batman?). The price – EUR 5,400 – is even quite reasonable. Quick facts: 45mm diameter – stainless steel case, two-tone ceramic bezel – 100m water resistant – Calibre Heuer 02 Chronograph with GMT function, in-house – automatic – hours, minutes, seconds, chrono, GMT, date – available on steel bracelet or rubber strap – from EUR 5,400 – more details on www.tagheuer.com. 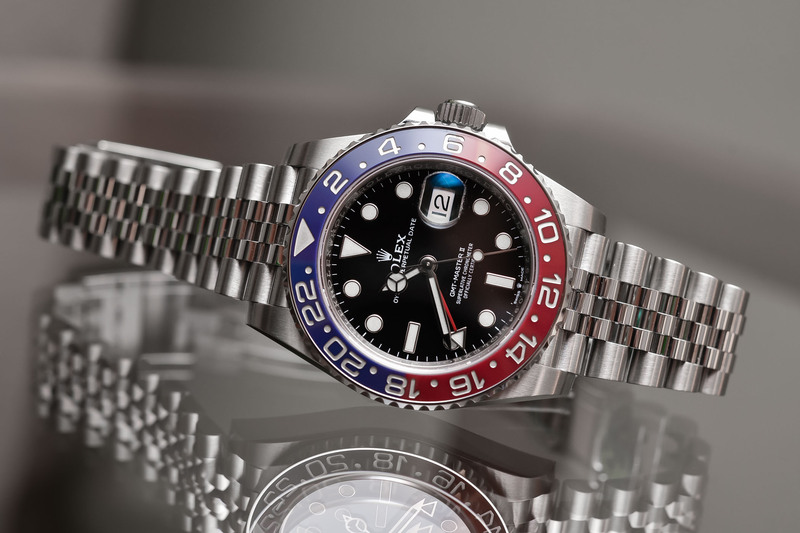 For Baselworld 2018, the Rolex Group had not one but two steel GMT Pepsi watches to show, the second one being under Tudor’s name. While, at first, the relevance of this choice was questionable, the idea was to demonstrate how the group can master a single complication at different price levels. 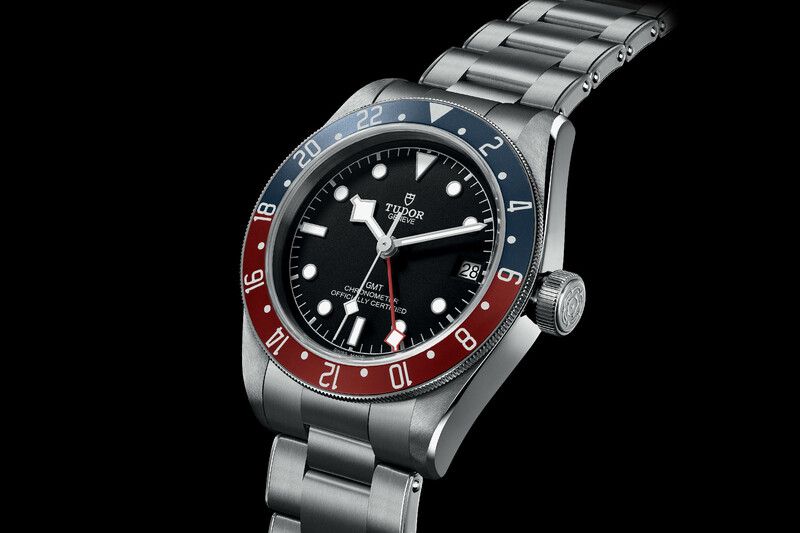 Besides this point, the new Tudor Black Bay GMT Pepsi 79830RB is admittedly an achieved piece. The aluminium insert has the right colours, the movement is manufactured in-house and exclusive to this watch, the functions are equal to its Rolex sister and it has that unique vintage flair that makes Tudor watches so cool. At EUR 3,350 (on leather), it is quite a strong contender and shouldn’t be seen as a poor’s men version of the Rolex shown above. Quick facts: 41mm diameter – steel case with a 24h rotatable bezel – 200m water resistant – calibre MT 5652, in-house, COSC – automatic – hours, minutes, seconds, GMT, date – available on steel bracelet, leather strap or fabric strap – from EUR 3,350 – more details on www.tudorwatch.com. Grand Seiko produce two of the best looking, one with great value, GMTs and neither gets mentioned. What a joke. Most new Grand Seiko GMT models are only new because of the “GS – Grand Seiko” on the upper half of the dial (the new GS style), and unfortunately, we did not get to see all novelties during Baselworld. 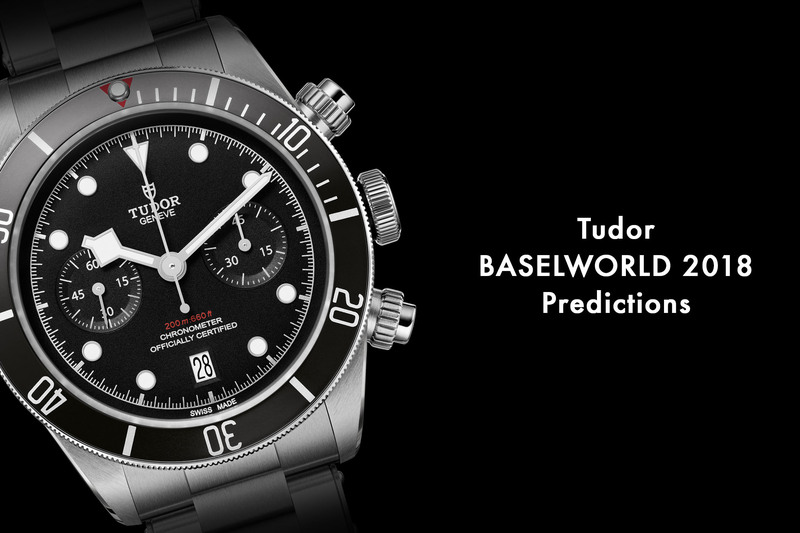 What’s the best choice between the new Tudor Black Bay GMT and a Bell & Ross BR 03-94 GMT ? Hi Georges, and thank you for your question. We can’t recommend a watch over another but you can, after you tried both on the wrist. Go to retailers, talk with them, strap the watches and then you’ll know.